Strong winds that typically accompany storms can cause shingles to crack, bend, or fly off, leaving your roof and the interior of your home vulnerable to leaks or further damage. We have compiled a checklist that can help you determine if you have roof damage. Blown off shingles may expose your home to structural damage, mold, and mildew. Contact LeafGuard® of Oklahoma for a solution. 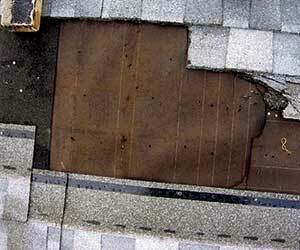 If you have roof damage caused by wind and/or flying debris, it’s important to get it fixed immediately. The longer you wait, the more damage will occur. Roof replacement and roof repair cost a lot less when you don’t have to add in the other costs of repairing leaks and water damage. Contact your insurance agent to assess the situation and determine whether you should file a claim. Thoroughly document any damage that occurred and keep receipts for all work, including any you do yourself, such as covering windows or holes in your roof to facilitate reimbursement if you file a claim. Many policies will cover these expenses when submitted with a claim. 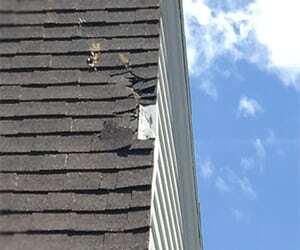 Most wind damage to a roof starts on the edge. After any storm, there will be “fly-by-night” outfits going door to door and claiming they are legitimate roofing companies. Most of the time, they do the work quickly and get out of town even faster before you have a chance to address any issues or problems, leaving you little recourse. Always ask to see their business licenses, proof of insurance, certifications, permanent business address, and Better Business Bureau rating. 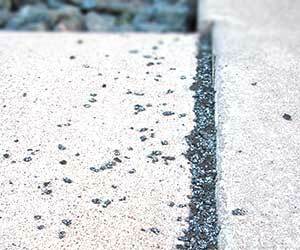 Shingle granule loss can appear on the ground after a wind storm, indicating roof wear and/ or damage. We are GAF Master Elite® Contractors – your assurance that you’ll be dealing with a quality, reputable, and dependable professional contractor. Don’t trust your biggest asset to just any contractor, factory-certified Master Elite® contractors are your best and safest choice! Contact us right away so that the wind, hail, or other damage done to your roof and home exterior can be fixed as quickly as possible to prevent mold damage from roof leaks and other related issues. We will provide a comprehensive roof inspection and no-obligation quote for repair or replacement of your roof, siding, and gutters. Call us or request a free quote online.